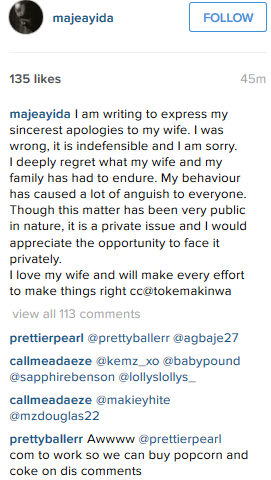 Yeoal's Blogzine™| Nigerian Urban, Gossip and Entertainment Site: Maje Ayida publicly apologises to Toke Makinwa for cheating......"I was Wrong"
Maje Ayida publicly apologises to Toke Makinwa for cheating......"I was Wrong"
Guess he is trying to win her back and save their marriage. 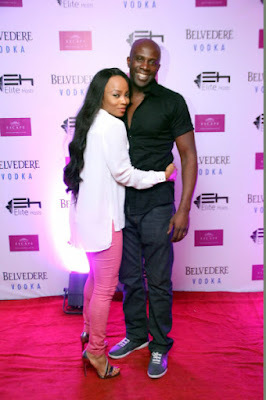 These pictures are all shades of cute. Meram Indimi is the beautiful daughter of Borno State billionaire, Muhammadu Indimi . She was spotted on board a private jet.